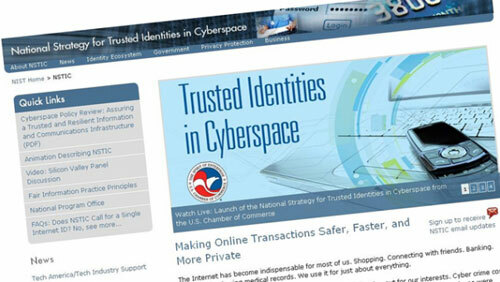 The National Strategy for Trusted Identities in Cyberspace (NSTIC) announced six new multi-year pilots granting organizations ore than $15.5 million to conquer different issues with digital identities. The focus of this year’s NSTIC winners is on secure online access to state and local services with another partnering with the U.S. Department of Health and Human Services for trusted identities in health care. The NSTIC pilots includes 24 projects and more than 150 total partners across 26 states and D.C. The Florida Department of Revenue aims to improve identity processes for online access to several Child Support Program applications. The new registration and authentication process will: increase the number of online services available to customers, provide convenience through a single login identity, and improve security by offering customers device registration options. The solution will enable the Child Support Program to increase the efficiency and effectiveness of our services while meeting customer expectations and the growing desire to conduct business more efficiently and effectively through online interactions with government agencies. Yubico will focus on enabling secure online access to educational resources for students in Wisconsin and to state services for residents of Colorado. In both states, Yubico will deploy FIDO Alliance Universal 2nd Factor-based YubiKeys and use OpenID Connect to develop an identity toolkit – with the goal of making the solution as simple to use and deploy as possible. Gemalto will work with departments of motor vehicles to issue digital driver licenses to residents of Idaho, Maryland, Washington, D.C., and Colorado. Gemalto aims to improve the way people conveniently and securely present and prove their identities to business and government entities by offering a digital driver’s license, accessible via a mobile application. The benefits for citizens and relying parties is to be able to present and authenticate a trusted government-issued digital identity via mobile platforms that will facilitate and automate many applications that rely on the physical presentation of identity documents today. ID.me will work with the City of Austin, Texas, to develop a city level blueprint for increased trust between participants in the sharing economy. The goal of the pilot is to demonstrate a viable model for strong authentication that is acceptable to key stakeholders in the sharing economy and replicable in other municipalities. With the State of Maine, ID.me will implement a federated identity model for applications to increase citizen access to benefits and to demonstrate interoperable credentials at the federal and state level. Cedars-Sinai Medical Center will implement a federated identity, single sign on, multi-factor authentication solution across distinct health care systems for patients and providers. The solution aims to simplify patient transition from Cedars-Sinai Medical Center, an acute-care setting, to post-acute care settings, such as California Rehabilitation Institute. Patients and providers will have a single credential on a portal with the purpose of giving them easier access to information to improve quality of care.